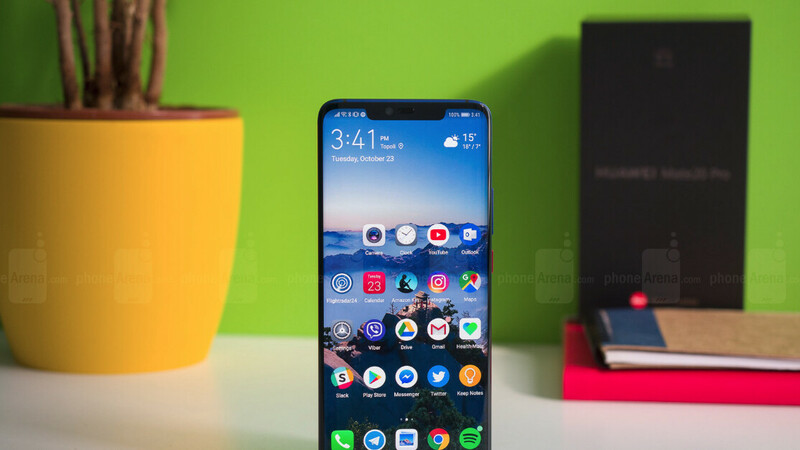 Huawei Mate 20 Pro hasn't been launched on the market for more than a week and it's already getting an update that's meant to further improve the phone's camera capabilities. If you're among the many who bought Huawei's new flagship, here is what the new update brings in terms of improvements. First off, the changelog mentions that new filters and effects will be added, along with the AI zoom feature for enhanced mini video recording. After the update, you'll be able to apply new features to videos while shooting, such as AI color, Background blur, and Vintage. The new AI zoom feature will allow Huawei Mate 20 Pro users to adjust the focus, which should offer enhanced video clarity. Also, Huawei included the October security patch, which isn't bad at all even if a handful of devices have already received a new security update. I still don't get it why their AOD feature is so dumb, apart from phone calls and messages, it shows no notifications from 3rd party apps. They're battery killers, they don't work like your typical AOD that comes baked in the OS. https://forum.xda-developers.com/mate-20-pro/help/screen-issues-t3859742 Huawei to fix there screen first ASAP. That’s why I don’t trust chinese OEM’s especially when it comes to quality. Actullay Huawei mentioned that they’re using BOE OLED and LG OLED as backup, I think both OLED are not good to be honest. Just like what Aruminiumaian has mentioned, BOE's panels are great, LG on the other hand are known for their trash quality. As for trust, let's not act like other phones have never had quality issues. Talking about screen issues alone, I can think of the Pixel 3, iPhone X, and S7 Edge's vertical pink/line, or the glue issues on l believe iPhone 6 and Oneplus, or color shifting and burn-ins on the Pixel 2 and few other smartphones. This comment makes no sense seeing as almost all devices are made in China, LOL. So you may as well not trust any OEM. So then what that means is that BOE Probably couldn't keep up with production and they had to start using LG to. Where is the lie in that?